If you are already a Scottish country dancer you will find details of our classes and events here, just click on the bar at the top of the page. Anyone looking for a fun way to spend an evening — keep on reading. At 7.30pm on Wednesday evenings we offer classes for anyone who would like to improve their knowledge and expertise of Scottish country dancing. No need to bring a partner though a friend is always welcome, come along and enjoy an evening of dancing to lovely music, both traditional and modern, a sure way to make you want to dance. Our members are a friendly crowd and will make you very welcome. Bring along is a pair of soft shoes and your sense of humour! Come and enjoy an evening of dancing followed by a cup of tea, then go home satisfied you have had some exercise as well as some fun. 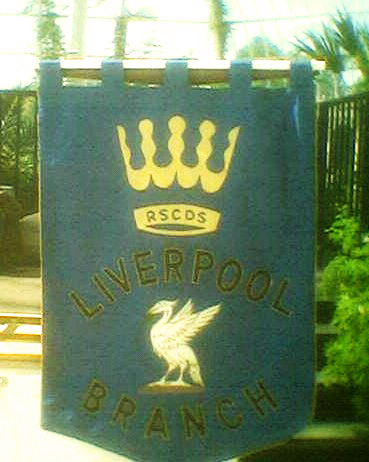 2011 saw the Branch celebrating its 60th Anniversary. We started our celebrations with a party on 9th February, the actual date of our first class in 1951, how’s that for timing! Some of our past members joined us on that evening as well as some invited guests who may have found our hobby a little energetic!! We followed the party with a dance on the 12th February 2011, to celebrate in a more refined manner! We continued our Anniversary year with a Ball at the Carnatic Hall, dancing to Marian Anderson & her Band. The tickets sold so well that we had a reserve list! You can view a gallery of photographs from the Diamond Jubilee Ball by clicking on the "Diamond Jubilee Ball" link.